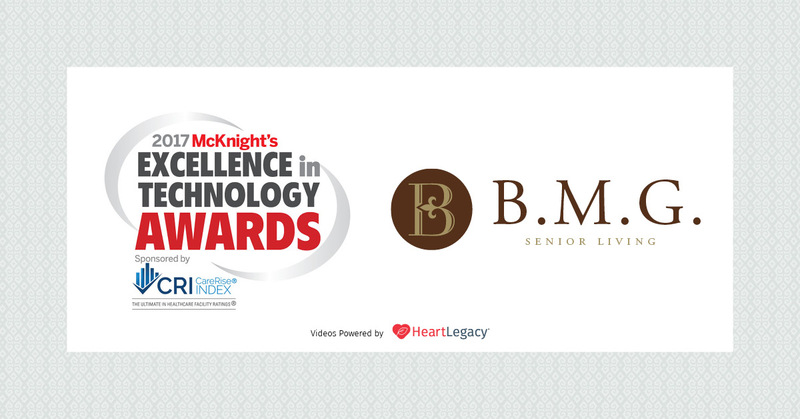 BMG Senior Living, a HeartLegacy business partner, recently garnered the Silver Award in the 2017 McKnight’s Excellence in Technology Awards. We’re proud to extend a well-deserved congratulations to BMG for being recognized for their commitment to residents and families. Read the full story here and spread the word!